In any case, besides seminal contributions to the study of mood, emotions, and emotional intelligence he has and continues to contribute significantly to the application of social/personality principles to health protective behaviors, such as HIV/AIDS prevention, sunscreen use, and early detection, such as mammography. Probably his most subsCtantive contribution involves research on the effects of informational framing, in terms of costs versus benefits, and tailoring to optimize the effectiveness of public service announcements. When is it optimal to use an appeal that emphasizes costs versus benefits? What attributes of recipients should be used to tailor the persuasive communications? This research has involved a large range of samples, but most notable are his programmatic interest in exploring different communication routes and engaging inner-city and other under-served populations in field settings. This year’s recipient of the Division 38 Award for Excellence in Health Psychology Research by an Early Career Professional is Dr. Qian Lu. Dr. Lu is currently an associate professor and the director of Culture and Health Research Center at the department of Psychology, University of Houston. She completed her medical training from China, and her Ph.D. was conducted in the social psychology and health psychology program at UCLA under Dr. Annette Stanton. Dr. Lu has conducted a programmatic line of research to improve the lives of minority cancer survivors and understudied populations. 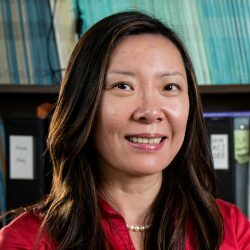 Her inter-disciplinary work in the elimination of health disparities, interventions with Asian Americans, and cross-cultural studies especially among minority populations is taking the field in a new direction of thinking about how to successfully develop interventions for under-represented populations to make more significant impact in communities. Her empirical studies are worth noting for the programmatic nature and sophisticated methodologies . Her designs combine laboratory experiments, field interventions, biological mechanisms, mixed qualitative and quantitative methods, and a strong and true community based participatory approach. For example, Dr. Lu spent the past five years piloting and refining a social support intervention for Chinese American breast cancer survivors. She has recently received a R01 grant from NCI as PI to test the effectiveness of this intervention as well its underlying cultural, psychosocial, and biological mechanisms by using mixed methods and community based participatory approach that promises to expand existing western theories and will inspire new theories by incorporating more culturally relevant constructs. In her relatively short time as an new investigator, she has achieved almost $4 million dollars in grant support, comprised of two research grants as Principal Investigator and a career development grant, supported by the National Cancer Institute, American Cancer Society, and Susan G. Komen for the Cure. Dr. Lu’s findings have contributed to our understanding of health disparities in cancer and pain, Asian American cancer survivorship, and developing culturally sensitive interventions for understudied populations. She has authored several high visibility papers, including her 2013 health psychology paper on “Multiethnic differences in responses to laboratory pain stimuli among children”, and her 2012 Annals of Behavioral Medicine paper on “Belief in divine control, coping, and race/ethnicity among older women with breast cancer.” Her 2012 Health Psychology paper of “A pilot study of expressive writing intervention among Chinese-speaking breast cancer survivors”, received considerable media attention, and made news on NBC, the Atlantic, ABC13, and Fox26. In addition, she has established several collaboration sites in China and helped to bring advanced methodology to cancer survivorship research to China. The impact of her work is beyond her scholarship in the U.S. and is reaching internationally. Dr. Lu is passionate about bringing the positive impact of research to communities. Working through true partnership with community organizations, her research provides direct and sustainable benefits for communities of color who participate in the research, and the design approach assures more valid and relevant findings. Dr. Lu is blazing a trail and is making significant contributions to the field of cancer health disparities. Her scholarship and originality is impressive at this early stage in her career. It is with great pleasure that we present the Division 38 Excellence in Health Psychology Research by an Early Career Professional Award to Dr. Lu. I am very pleased to present the 2015 award for Excellence in Clinical Health Psychology to Dr. Mark Vogel. Dr. Vogel is Associate Professor of Family Medicine and an Associate Clinical Professor of Psychiatry at Michigan State University, College of Human Medicine. A fellow of the Michigan Psychological Association, Dr. Vogel is widely respected for his early, sustained and effective leadership supporting clinical health psychologists in the primary care behavioral health care model; interprofessional education of psychologists across the career trajectory in primary care setting; as well as his ongoing and invaluable service to several national organizations. For almost 20 years, Dr. Vogel has been effectively defining the roles of, educating, advocating for, evaluating and writing about psychologists in primary care settings. An early and effective leader among primary care psychologists, he provides and promotes behavioral health services in family medicine settings; develops innovative, inter-professional training models for psychologists and family practice residents; collaboratively writes biopsychosocial curriculum for training across the health professions; and is a strong voice for evidence based care and evaluation of patient and provider outcomes in primary care settings. The Vogel et al and Nash, McKay, Vogel and Masters publications are invaluable contributions to our literature on primary care psychology workforce development. His distinguished, innovative and sustained contributions in clinical health psychology and primary care psychology are reflected in his: clinical work, his educational activities, his writing, and professional his leadership in several national organizations including APA’s Division 38, ABSAME, the Society for Behavioral Medicine, and the Society for Teachers in Family Medicine. Personally, I have gotten to know Mark most recently in the last three years we along with six other primary care psychologists are developing a curriculum for psychology graduate students. It may have been an early interest that he had in going to Hollywood as a film director, but Mark has taken on the task of creating videos for this curriculum that can inspire and educate students to work in primary care. He is a pleasure to work with. His diligence, creativity, and contributions to our team have been outstanding. Again, it is with great pleasure that I present the award for Excellence in Clinical Health Psychology to Dr. Mark Vogel. I am pleased to congratulate Kevin T. Larkin upon receiving the Cynthia D. Belar Award for Excellence in Health Psychology Education and Training. Dr. Larkin received his PhD from the University of Pittsburgh in 1986. That year he joined the faculty at West Virginia University (WVU), where he served thirteen years as director of clinical training. Since 2013, he has served as department chair at WVU. Board certified in clinical health psychology, he has participated in every conference and activity related to defining education and training competencies in health psychology in the past ten years. At one of those training conferences, it was decided that it was again time to reinvigorate the then-dormant Council of Clinical Health Psychology Training Programs (CCHPTP). Kevin not only participated in the reinvigoration process, he also chaired CCHPTP from 2007 to 2013. Under Kevin’s leadership CCHPTP became an active in important participant in the Council of Chairs of Training Councils (CCTC), where Kevin played a major role both in helping to define the future and the competencies involved in health service psychology, and in assessing and developing interventions to deal with the increasingly problematic internship match imbalance. The reintroduction of CCHPTP proved to be pivotal in improving relationships among the various general and specialty councils in CCTC, facilitating the collaboration among these groups in the development and comments on the new Standards of Accreditation, and working to ameliorate the internship match imbalance. Keven was a leader in all of these activities, and was able to both represent the interests of health psychology while simultaneously seeing the bigger picture and remaining sensitive to issues engendered by those concerns as well. 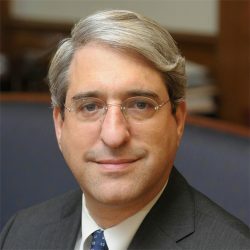 He led and/or participated in a number of initiatives in CCHPTP and within APA that put that organization and Division 38 together in a leadership role when it comes to primary integrated care, the possible impact of the Affordable Care Act on education and training, and the competencies that will be required in the future if psychologists are to play a role in these areas. 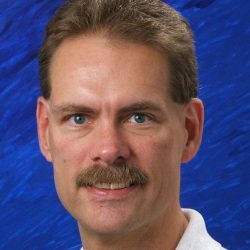 Kevin has published frequently on issues related to education and training, as well as on topics related to health psychology in general. He is so well recognized in the field, that when the book series “Specialty Competencies in Professional Psychology,” published by Oxford University Press, wanted a book on competencies in clinical health psychology, Kevin was the obvious choice to author a book on this topic. This book will no doubt serve as a blueprint for education and training in the future. Dr. Larkin has been recognized for his commitment to Education and Training – seemingly since he first began teaching. In addition to Faculty Teaching Awards, he recently received the Distinguished Leadership Award from the Council of Clinical Health Psychology Training Programs and the Beverly Thorn Award for Outstanding DCT Service from the Council of University Directors of Clinical Psychology. He is a Fellow of APA and Division 38, as well as the Society of Behavioral Medicine. Kevin has been on the forefront of issues related to education and training. He is a big thinker who is able to see how health psychology fits into the entire context of education and training, and he is able to translate those thoughts into action plans that move the field forward. For this, and for everything else he has done for the field, Kevin T. Larkin is a fitting recipient of the Cynthia D. Belar Award for Excellence in Health Psychology Education and Training. This year’s recipient of 2015 Nathan W. Perry, Jr. Award for Career Service to Health Psychology is Dr. John Robinson. This award was conceived to honor those who have made significant contributions to Division 38 and the advancement of health psychology as a field. I have known Dr. Robinson for decades and am most familiar with his knowledge, skills and attitude toward our profession. He has written widely on health psychology topics, with particular reference to diversity in the provision of services and career advancement. 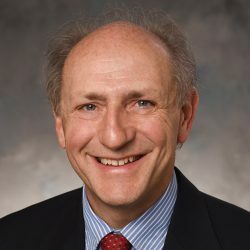 APA has recognized John with the Stanley Sue Award for Distinguished Contributions to Diversity, and the Association of Psychologists in Academic Health Centers awarded him the Joseph Matarazzo Award for distinguished service and contributions to clinical health psychology, their highest honor bestowed to him from a very competitive field of nominees. John is board certified in both clinical and clinical health psychology by the American Board of Professional Psychology (ABPP), but in addition has served as president of both boards, a measure of the respect his colleagues afford him. I can attest that his presidency of the ABPP Health Psychology board was transformative in reorganizing and revitalizing what had become a rather static enterprise. His modeling of what a psychologist can do in the jurisdiction of medicine, whether serving on the Board of Trustees of two universities, in the military or the Public Health Service, has been illustrative and a GPS for early career health psychologists looking for a guidepost to learn what is possible for them. His service to our profession is long standing, of high quality and unfailingly outstanding. Perhaps John’s strongest suit is that regardless of his almost legendary status in the development of clinical health psychology in the US, he has remained dedicated to the grooming and nurturance of students, whether his own or those who seek him out for guidance and support. Never one to withhold support and wisdom from a student or ECP, he is open and approachable to young psychologists and generous with his time and expertise. He is never too busy to answer emails or calls, to take students to lunch or dinner to discuss their career aspirations, or to speak directly to their needs and ambitions during presentations. Dr. Robinson is an educator of physicians and psychologists, a role model who has had an interprofessional, team-based approach to education, training and clinical services long before the term “interprofessionalism” came into vogue. As a clinician, Dr. Robinson’s faculty appointments in the departments of psychiatry and surgery at Howard University Medical School and Hospital reflect the respect his colleagues have for his day-to-day contributions to quality patient care. 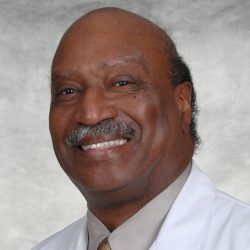 Throughout his distinguished career, Dr. Robinson has been a tireless advocate and mentor on behalf of ethnic and gender minorities in Clinical Health Psychology. Ethnic and gender diversity within our field has been a major professional goal and accomplishment for him. As a result of Dr. Robinson’s substantial efforts, future minority physicians have a better understanding and deeper appreciation of the crucial role of health psychologists in both primary and tertiary healthcare. John Robinson is a proverbial “man for all seasons”, who has the academic credentials, the clinical acumen, and the professional dedication to seamlessly fit the requirements of those who developed the Nathan Perry Award. Nate was very fond of John and had great respect for him; knowing them both I believe each would be honored by his selection for this honor.